After Monday’s post, I had a lot of interest come in. Many lovely ladies looking for a group to join, an app to use or just some encouragement! So I did some research and have a few suggestions. I may do more later on too but I wanted to get some of this out now because one group closes soon. Triangle Turtles – I know nothing of them but they seemed like a nice group to join if you are looking for a social outlet to ease into running. I am going to try and find out more about them. No Boundaries – One of the head volunteers from NCRC recommended this one. This is put on by Fleet Feet off Wade Ave. Another great store to learn about running, the right shoes, the right bras. You name it. You have until Septemeber 6th. Fitastic – Run by The Athlete’s Foot in Cameron Village. Another great local running store that helps out the running community. This is already past the deadline but something to maybe look into next year. They may do it more than once too. I am not sure. This was another recommended from NCRC. While googling around, I found this review of the program. There are some schools of thought that just a great social running atmosphere will get you energized. I know some beginners like the appeal of others just like them who have never ran before. If you feel like you want to jump in with both feet, here are some local run groups to try. I have heard great things about them all and have friends who do some. Tuesday night Big Boss Brewery Run Club – Meet at Big Boss Brewery at 7pm, all runners will meet on the patio outside Big Boss. The run will follow a 3.1-mile (5k), 4-mile, or 5-mile route (all are offered each week) behind Big Boss and along the Capital Area Greenway. I haven’t heard anything about this one but they have their routes listed on the FB page. So take a look! Wednesday night Fullsteam Brewery Run Club – Meet at Fullsteam Brewert at 6pm and choose a route. Same as the other 2 really. The group seems a little smaller…whether that is good or bad for you. Now general running clubs around the area are still an option. The yhave runs throughout the week as well. Show up for a run and see who else is there at the same pace. Now for you non-beginners and/or non-triangle folk. Here are some online options and apps I found recommended. Couch 2 5K app – I have seen people on the Twitters talk about this one some. I also found many raving reviews including this one. 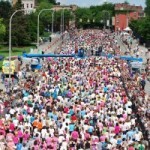 Along those same lines, there are plenty of C25K running plans to follow online if you are the go getter on your own. 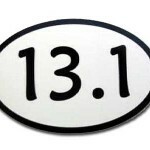 There is also a nice community here with printable logs, tips and tricks and a forum to meet other runners. General Running Apps – I personally user RunKeeper. It has a great GPS tracking system, tracks elevation and is just really easy to use. You can set intervals, run set routes and even import workouts (including 5K training programs). You can create street teams to help keep you accountable or even race! 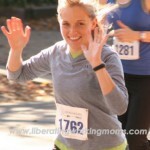 I then found a nice round up of the 3 big names in running apps on Cool Mom Tech. I have used all three. I like RunKeeper the best overall. I want to write more but like I said before, I needed to get this out first. Please post your favorite apps, programs, words of encouragement please. Pass this to running family and friends. If anything makes a successful runner, it’s a welcoming community! Nothing beats a group of people just totally supporting each other get stronger and fitter and having some funs/giggles along the way. I run 3-4 times a week with new-ish runners up in my neck of the woods and anyone else around is totally welcome. (I am in 27614) We typically leave between 5:15 and 5:45 AM depending on the day/who is in… a couple of them are teachers on the early early 7:45 start so need to be at school by 7AM. It’s really good. I am with Ms. Sarah… if there was a job that could pay me (what I make now…) to be a motivational runner coach/mentor (with zero credibility or formal training of course…) I would do it in a heartbeat. I bought a pair of Nikes early last year and got the chip for my shoe. I LOVE the Nike Plus App. Keeps me motivated to hear a trainers voice on my runs, and provides awesome online community as well. It makes me look forward to my runs and push myself further towards the goals I’ve set. I never felt like the shoe sensor worked well. It was never accurate. Then I just used their GPS but didn’t like that if it messed up tracking, I couldn’t edit it. Runkeeper allows editing.